CHARMING NORTH CITY COTTAGE NESTLED UNDER THE CANOPY OF A BEAUTIFUL OAK TREE. THIS HOME IS MOVE IN READY WITH EXTENSIVE UPGRADES AND REPAIRS. NEW PLUMBING AND WIRING IN 2003, PAINTED IN 2015 AND NEW REAR PORCH IN 2016. 2017 SAW MANY UPGRADES INCLUDING NEW AC/HEAT UNIT, VINYL BLINDS, RENOVATED KITCHEN WITH NEW CUSTOM CABINETS, REFRIGERATOR, RANGE, DISHWASHER, DISPOSAL, GRANITE COUNTER TOPS, PORCELAIN TILE FLOOR, SINK AND FAUCET SET. ALL WOOD FLOORS WERE RESTORED THROUGH OUT THE HOUSE. 2018 SAW A NEW BATHROOM WINDOW, CHAIR HEIGHT TOILET, AND SINK FAUCET SET. NEW GARAGE DOOR AND OPENER, WATER HEATER, ALUMINUM ADJUSTABLE AWNINGS, DINING ROOM LIGHT FIXTURE AND ANTIQUE CEILING FIXTURE IN KITCHEN. 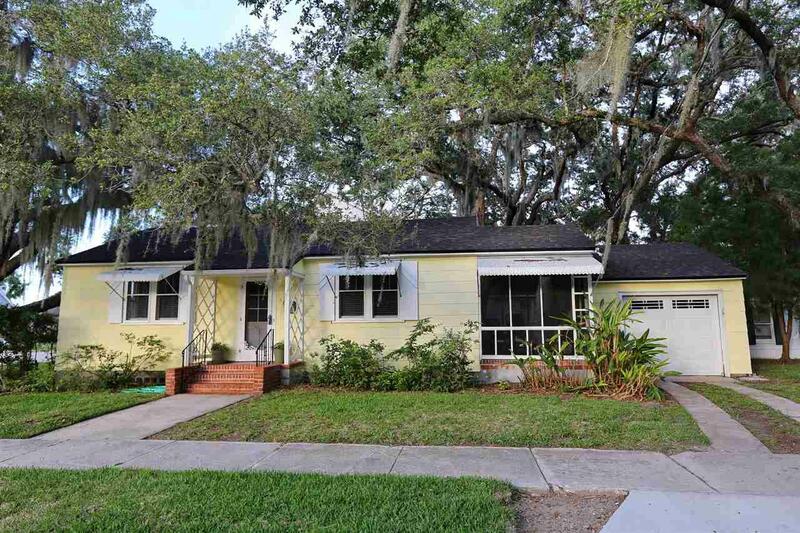 THIS HAS BEEN A WELL MAINTAINED COTTAGE IN ST. AUGUSTINES NORTH CITY NEIGHBORHOOD THAT IS CLOSE TO ALL ST. AUGUSTINE HAS TO OFFER. EASY COMMUTE FOR THOSE WHO WORK IN JACKSONVILLE BUT WANT TO LIVE IN CHARMING ST. AUGUSTINE. EASY SHOW..